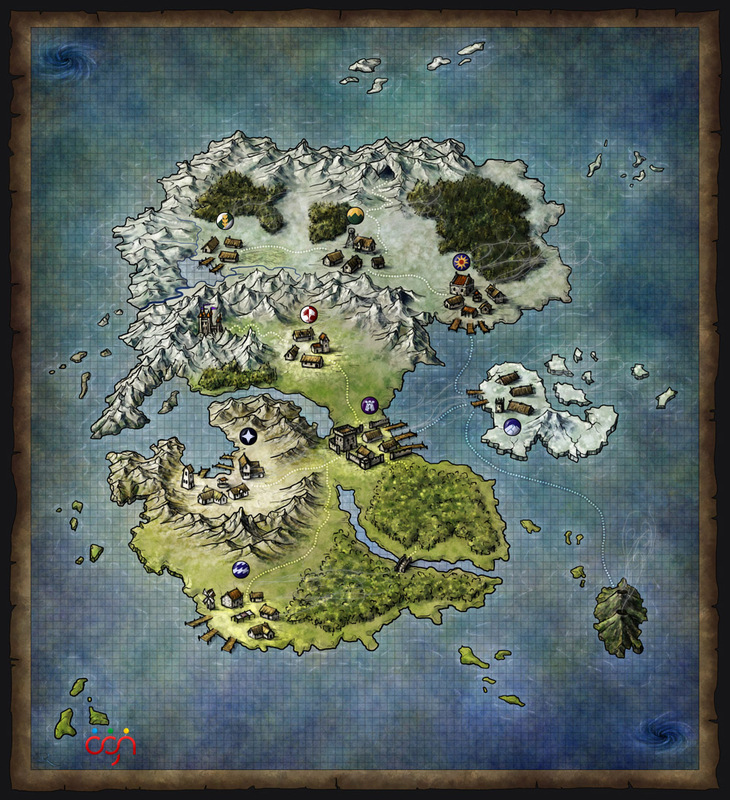 The map needed to highlight a collection of different towns that the players progress through, and show the routes that connect the towns together. Each town also has a heraldic crest which appears on the map, but also acts as spot art within the game. It’s a fun game with some pretty unusual mechanics. You can check it out here. Wow, great looking map! It kind of looks like the homebrew map I created that I tried to commission from you! Still busy? Next Next post: Giant’s Meadhall available as a Map Pack!